This illogical layout was spread across the main part of the house, and the garage. We managed to join these two sections up, and create a central hub perfect for the whole family... but don't worry, we added an office for Mum and Dad for when 'family time' just gets too much! 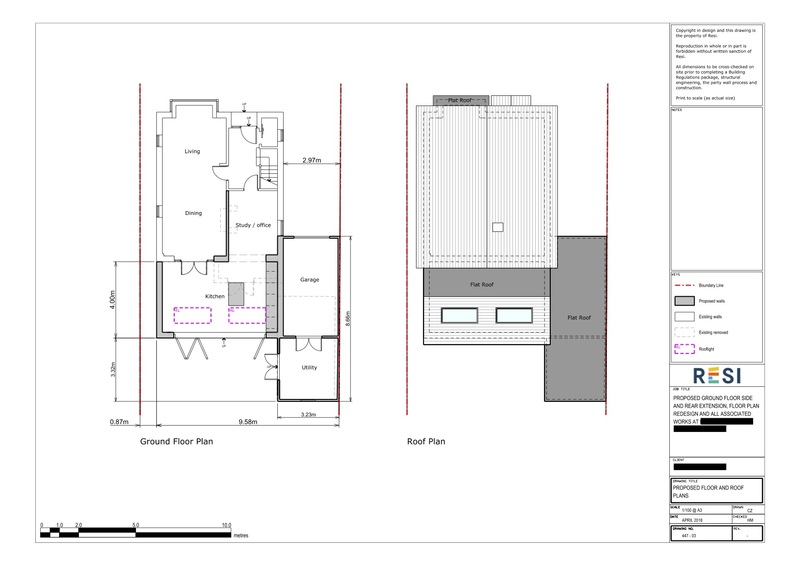 Our client wished to remove their small kitchen extension, and in its place erect a ground floor side and rear extension to maximise their living space. They wanted to use the space to create an open plan kitchen, incorporating bifold doors and skylights. This was all to be carried out in accordance with a modern, minimalist style. 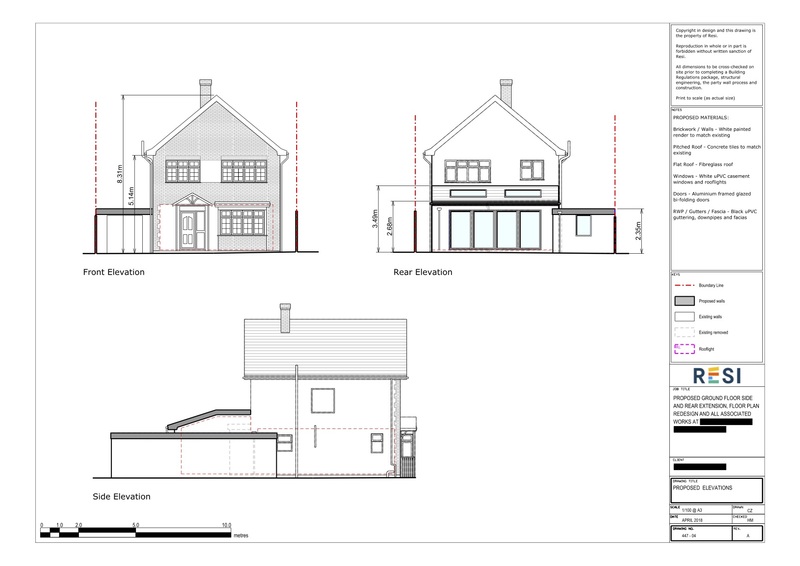 I designed the new build so that it joined onto the garage, and replaced the existing kitchen extension. This created a great space for an open plan kitchen, which was consequently joined to a dining and living area. The kitchen was at a different level to the outside patio, which created a great flow to the layout, and had bifold doors and two skylights in order to fill the extension with natural light. The extra floor space in the extension was used for a utility room and sizeable office.